For more information about our attorneys, office staff and Strategic Initiatives staff, please visit our staff page. To get to the Office of General Counsel, enter the main steps on Clark street. When you come to the flag pole, enter the doors to your left. Go up to the second floor and check in with Reception. Our office will be contacted and someone will be out to welcome you. 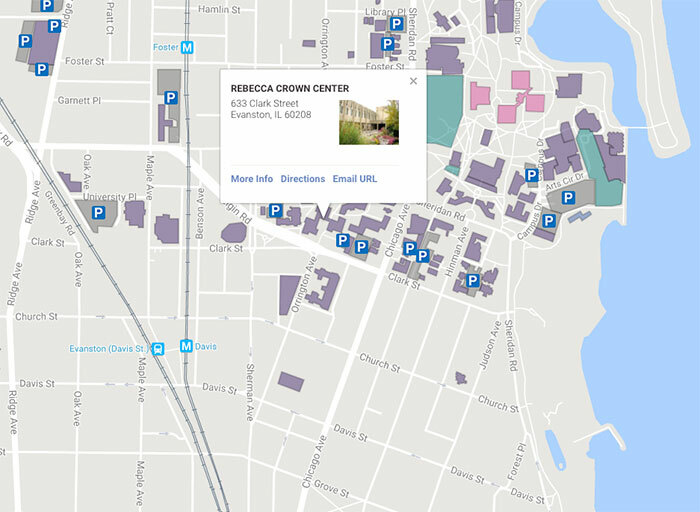 View the Rebecca Crown Center on the Northwestern map.